Organovo has announced the full commercial release of the exVive3DTM Human Liver Tissue for preclinical drug discovery testing. Initially, clients will be able to access the technology through Organovo's contract research services program. This model is intended to provide human-specific data to aid in the prediction of liver tissue toxicity or ADME outcomes in later stage preclinical drug discovery programs. Organovo's exVive3D Liver Models are bioprinted, living 3D human liver tissues consisting of primary human hepatocytes, stellate, and endothelial cell types, which are found in native human liver. The exVive3D Liver Models are created using Organovo's proprietary 3D bioprinting technology that builds functional living tissues containing precise and reproducible architecture. The tissues are functional and stable for at least 42 days, which enables assessment of drug effects over study durations that well beyond those offered by industry-standard 2D liver cell culture systems. Organovo has previously shown that exVive3D Liver Models produce important liver proteins including albumin, fibrinogen and transferrin, synthesize cholesterol, and possess inducible cytochrome P450 enzymatic activities, including CYP 1A2 and CYP 3A4. The exVive 3D Liver has successfully differentiated between structurally related compounds with known toxic and non-toxic profiles in human beings, and the model has also been employed successfully in the detection of metabolites at extended time points in vitro. Importantly, the configuration of the bioprinted liver tissues enables both biochemical and histologic data to be collected so that a customer can investigate compound responses at multiple levels. The durability and functionality of the 3D liver product enable the assessment of the effects of low dose or repeated dosing regimens across a spectrum of biochemical, molecular, and histologic end points. 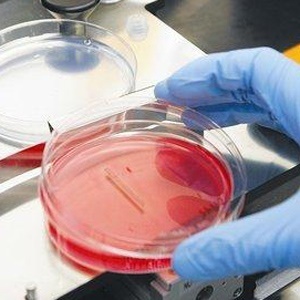 All testing will be performed at Organovo's facility by the Company's laboratory services tissue experts.